Li Tang (李唐, c.1066–1150), style name Xigu (晞古), was a major Chinese painter who lived during both the Northern and the Southern Song dynasties (960–1279) and established a style of painting that became the base for the academy-style landscape of the Southern Song. Li Tang served in the academy of painting of Emperor Huizong, and, after the North fell to the Mongols, went to the South and entered the academy of Emperor Gaozong. 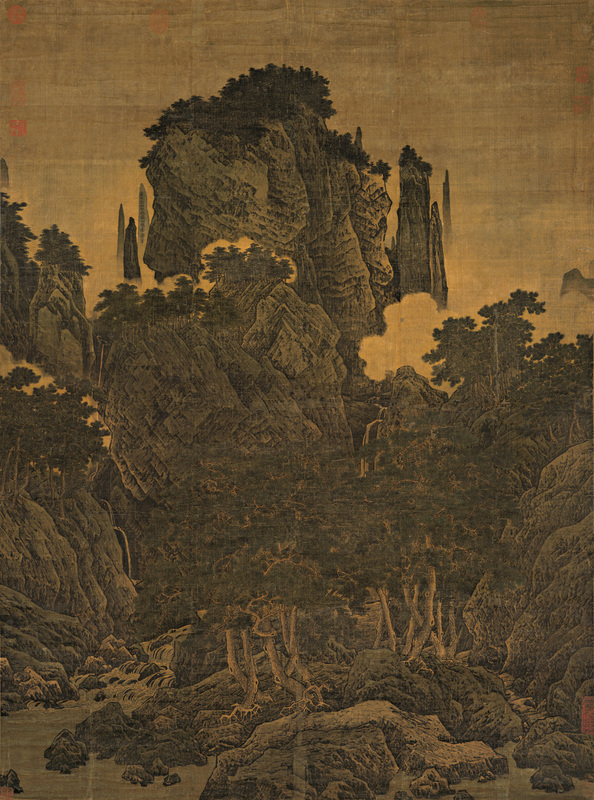 His landscapes—of which one dated 1124 is the most reliably ascribed—served as a vital link between the earlier, and essentially Northern, variety of monumental landscape, and the more lyrical Southern style of the Ma-Xia School. Li Tang perfected the brushstroke known as the “ax texture stroke (斧劈皴),” which gives a tactile sense to painted rocks and suggests the precise and comprehensive reality that Southern Song artists sought to give their landscapes.